Machu Picchu is almost the only Inca site in Peru that survived the Spanish invasion and the last 500 years unscathed. 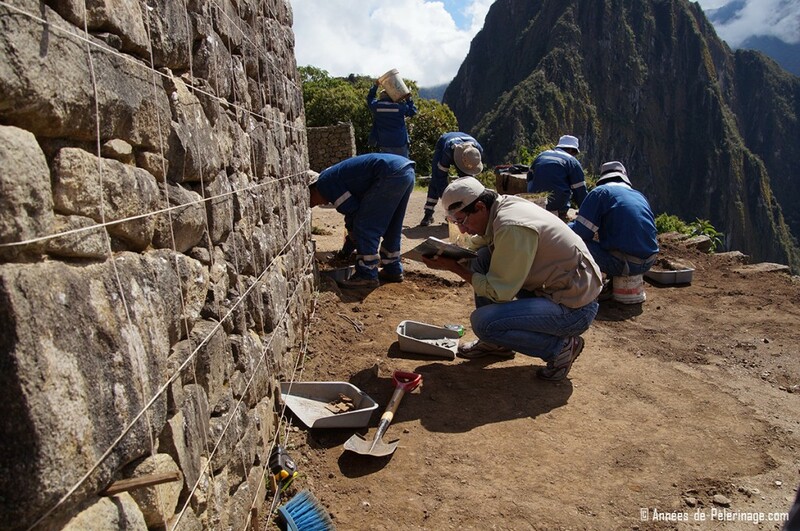 As such, it is one of the few places where you can experience the architectonical ingenuity of the Inca masons. Despite its picture perfect vista, few facts are known about Machu Picchu. 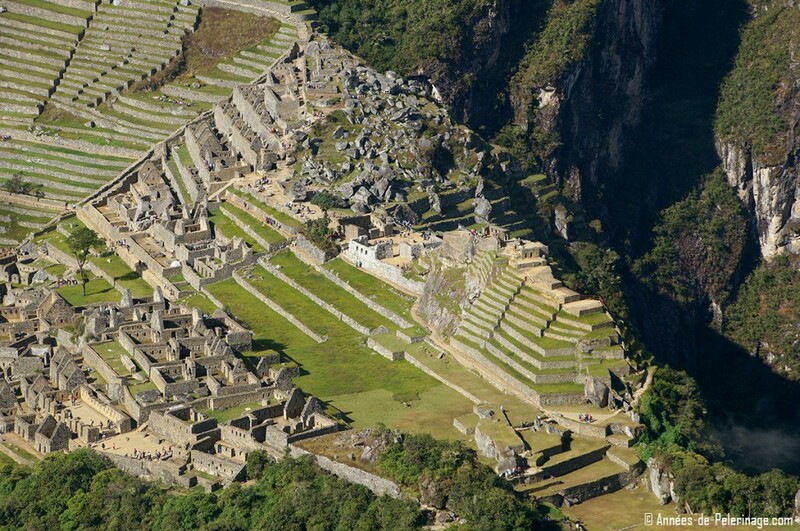 The Lost City of the Incas remains a mystery, though the buildings hint at a glorious story. Here is everything you need to know about the Machu Picchu architecture. Wondering what to pack for Machu Picchu? Read my ultimate packing list! 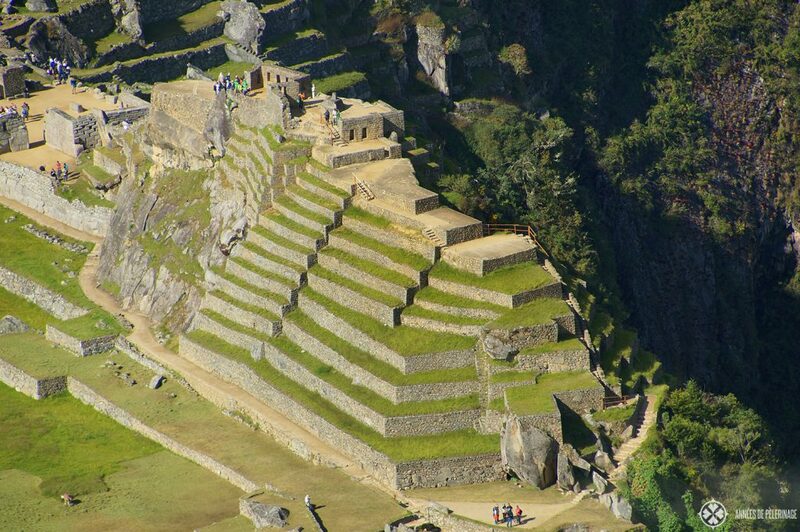 Machu Picchu was built around 1450 AD on a mountain ridge roughly 2,420 meters above sea level using simple tools. Roughly 200 structures survived throughout the ruins – all of them lost their wooden, straw-thatched roofs over the ages. But the decay stopped at the perfectly cut granite stones. These remain impeccable and showcase the unbelievable skill of the Inca masons. The technique of fitting stones without mortar is known as Ashlar. 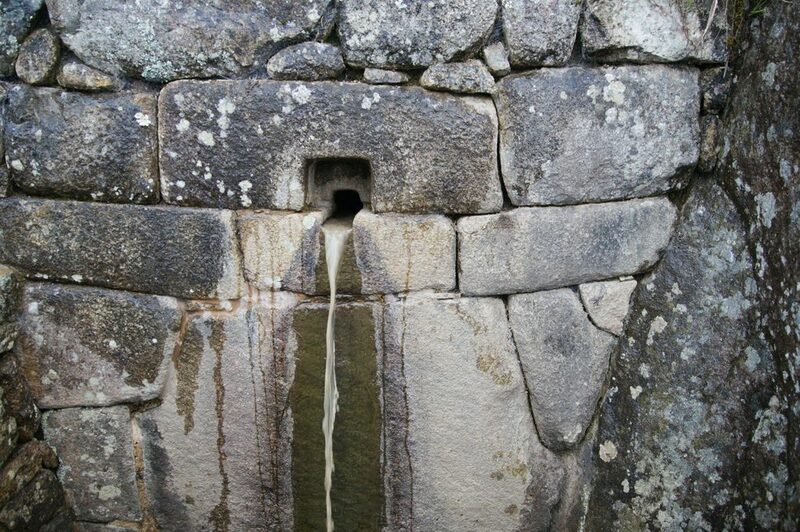 The Inca refrained from using mortar because the loose fitting was more resistant to earthquakes and the whole Urubamba Valley was prone to experiencing them. The most amazing part: Steel and other hard metals were unknown to the Incas. They cut the stones using bronze tools and harder stones from nearby quarries. Judging from tool marks left on the stones it is most probable that the Incas pounded the stones into shape and not really cut them. If you look closely, you will find a quarry right inside Machu Picchu. The Inca citadel was, quite apparently, never finished. The heavy stones, some weighing more than 50 tons, were hewn right out of the rock. There was no need to transport them over long distances. Given Machu Picchu’s elevated and secluded location that would probably not have been possible anyway. Smaller stones were transported to the various construction sites by lamas, while larger stones were pulled with ropes and levers. The Inca never invented the wheel as we know it. The stone blocks were almost all finished on site, following the demands of the Ashlar technique. On some bigger stones, you can still find smaller indentations to secure ropes or for workers to get a better hold. 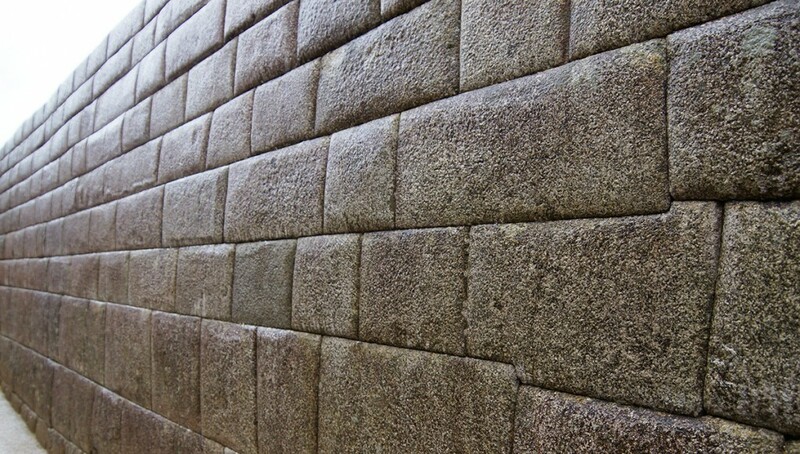 Adobe and bricks were not used in Machu Picchu. Most residential houses probably had a light finish consisting of ground stones and sand. It is not known whether the walls have been painted afterward. From other sites, we know that religious structures often featured golden panels, while normal houses sometimes were painted. 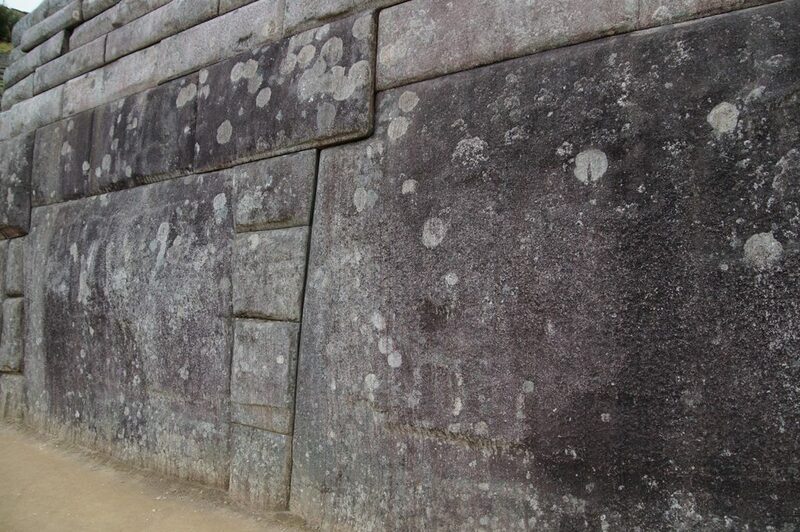 A building technique known as wayrona style can be found around the sacred plaza. These temples might have had such a gilded finished, though evidence suggests that they were never finished. 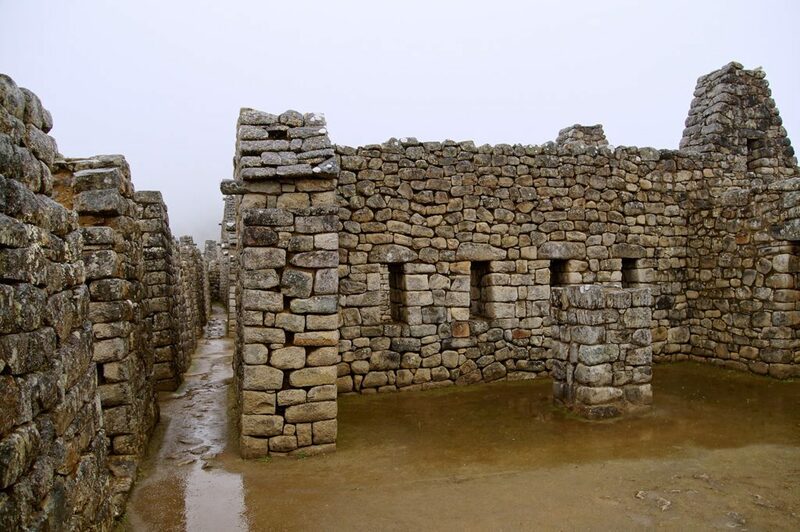 The Temple of Three Windows in Machu Picchu is also a good example. All houses follow a rectangular ground plot, with the temple of the sun being the only exception. 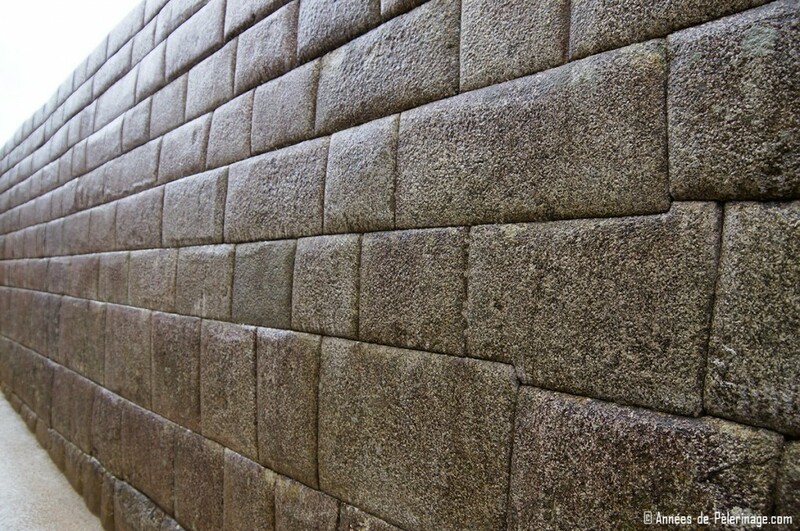 This is a pattern known from other Inca sites as well (and actually applies to our modern cities as well – where only a few public buildings of Machu Picchu are not more or less rectangular). The walls are rather irregular and follow the shape of the stones, and not so much a strict geometry. Sometimes you will find niches – used to place holy objects or mummies of the ancestors. All buildings are one-storied, though some buildings might have housed an attic. Not all of them feature windows, but if they do, they are usually trapezoidal. The walls are usually slanted, with rounded corners and L-shaped support elements. The roofs would probably have been very steep (about 60 degrees) as it rains a lot (read more about the Machu Picchu weather here). Underneath hides a perfect drainage system that still works until today. Little channels crisscross the whole Inca citadel and obediently carry away all the water during the heavy rainfalls that frequently occur. It’s not only the houses that deserve notice. 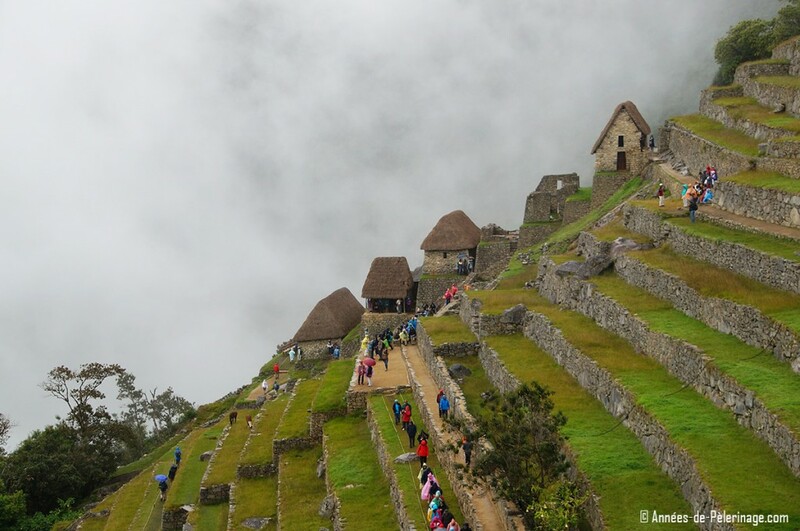 Perfect terraces surround Machu Picchu. They do add to the drainage system and were naturally also employed as fields to grow crops, in case you were wondering about the purpose of those terraces. Quinoa, Maize, and potatoes were probably grown here. Some crops maybe even in a religious context. The Agricultural techniques of the Inca were very advanced. So advances was the design of thterraceses that they were able to create minute microclimates on the different levels. Everything is connected by perfect stairs, some of them quite steep, but still in good shape. If you look closely you will notice that Machu Picchu is divided into different, easily recognizable districts. Most apparent is the city wall closing off the agricultural sector with its many terraces. But also within the actual city limits, differences can be seen. On the left-hand side, you see the royal compound, with its perfectly cut stones. Not even a needle will fit in between the stones. On the right-hand side, you will see a large residential area, with houses not as perfectly set. These interconnected houses are known as kanchas, and were probably home to larger families. In the royal sector, you will find larger building units, known as kallanka. These usually had multiple doorways, facing an open square. These were used for smaller, public gatherings. Perhaps most notably is the fact that the Incas followed the terrain rather than applying the conventional layout of other classical Inca cities. Usually, the palaces and temples were built on an elevated area. 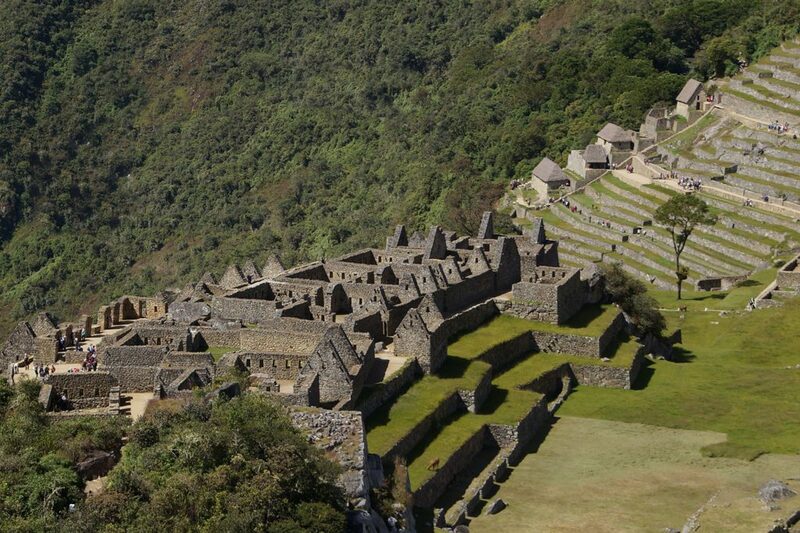 In Machu Picchu all buildings follow the more or less same design, creating one consistent unit. This led scientists to believe that Machu Picchu must have been a royal country estate and not a regular city. It is the reason why it is often called a citadel. The Inca were a religious people, revering nature and the gods that shaped it. This is most apparent in the architecture. For example, the temple of the sun stands on a particularly big granite rock. The intihuatana stone (read more about it here) is hewn right out of the mountain and the temple of the Condor, too, makes use of the natural stone to create the impression of gigantic spread wings. Last but not least it is again important to note that Machu Picchu had a city wall. This is very untypically because war among the Incas was not the kind of all-out warfare we know today. Much like in ancient Greece, battles were set-pieces that rarely involved the destruction of cities. Only very late cities (like Ollantaytambo) of the Inca civilization feature such fortified structures – to ward off the Spanish invaders. I’m sorry, but you dont actually explain how any of it was done. In fact, you make bold statements like “there is a quarry inside the town” without showing a single picture of it. It is an obvious lie. Also, no mention of the ruins that the city appears to be built on. Also, you make the statement that the stones were not cut, but pounded into shape with bronze. A soft metal, and harder stones. But we’re talking granite stones, here. Are you seriously suggesting they had the ability to pound 50 ton granite blocks into perfect shape with diurite or diamond? It’s a nice attempt to place Macchu Picchu as something understood by mainstream archeologists, but it simply is not. Quit lying to as a means to show ads in an article you personally dont fully understand. I am no archeologist, so I make no bold claims at all. There is a picture of the quarry, you can easily see the loose rocks lying about. As for the tools…I’m not sure how you came to the conclusion that you need diamond tools or steel to cut granite into shape. The ancient Egyptians were quite capable of handling granite as well. Oh right, they were helped by aliens, I forgot (/irony off). 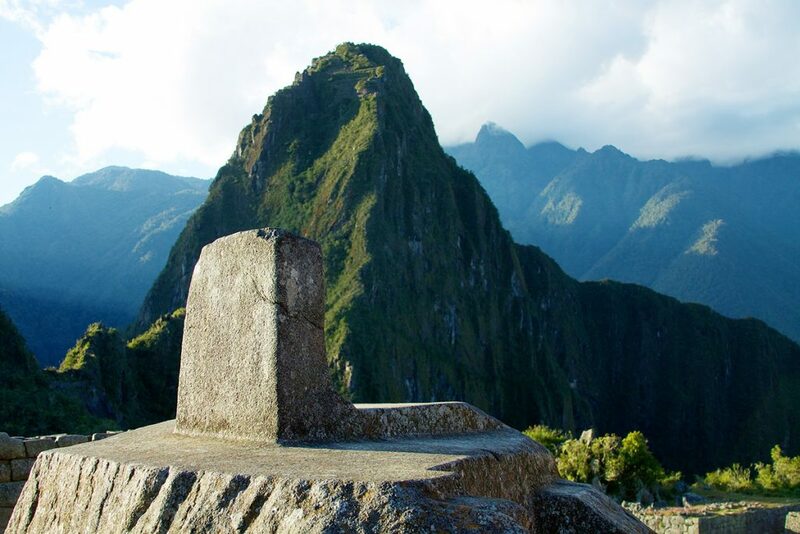 There are a lot of enigmas in history, Machu Picchu really isn’t one of them – we may know little contextual stuff about it…but the rest is quite straightforward. that being said, if you got further information from verified sources (i.e. books or scientific journals) i’m happy to add that intel for further readers! Dear Brandon, from a fellow traveler (who has visited Machu Picchu on two separate occasions) I feel that the tone of your note does not seek clarifications so much as it invites confrontation. The quarry exists (a simple “machu picchu quarry” search on the internet will return enough videos and pictures to convince you). As for the “underlying ruins”, these are actually the citadel’s foundations: more than 60% of Machu Picchu is underground. Since they were building an estate over two fault lines with the added challenge of heavy rains (over 70 inches per year), the Inca engineers devised an incredibly effective system of layered foundations, drainage holes, and water channels topped with their seismically-tolerant building technique. The structures of Machu Picchu are said to “dance” during earthquakes, gently rocking along with the earth movement and “falling back” in place once it is over. Again, a simple internet search will return many hits, including information from Unesco, National Geographic, and other serious institutions. 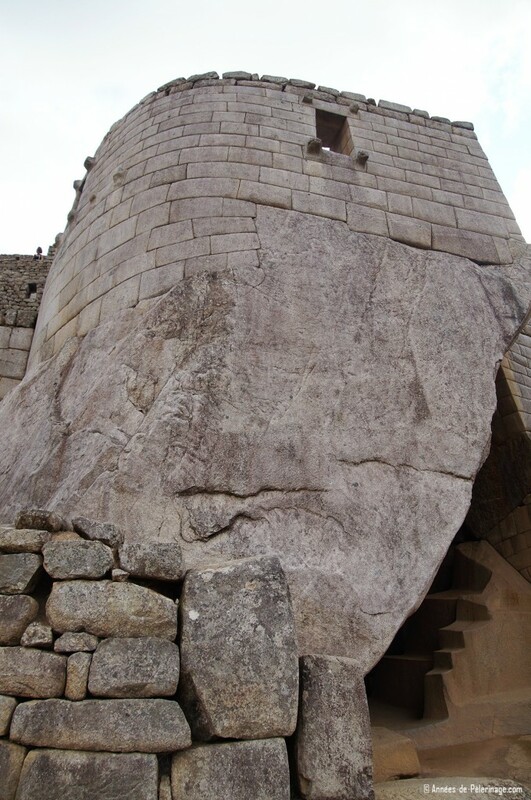 How the Incas cut the stones so perfectly remains a puzzle: theories range from wild (gold disks in parabolic shape to concentrate the rays of the sun into laser-like beams) to plausible (wooden wedges inserted in the rock, expanding and cracking it along natural fissures). There still is no consensus in the archeological community of exactly how this was done, so any hypothesis can be the starting point of more research to prove or disprove it. thank you for this in depth analysis and your thoughts & comments. Much appreciated! Well, there is nothing to do in Aguas Calientes. You can stroll through the town, there is a little zoo and you can visit said hot springs. Other than that, you could also stay a night in Ollantaytambo. And yeah…two days in MP is a good idea. The ruins are just so beautiful.